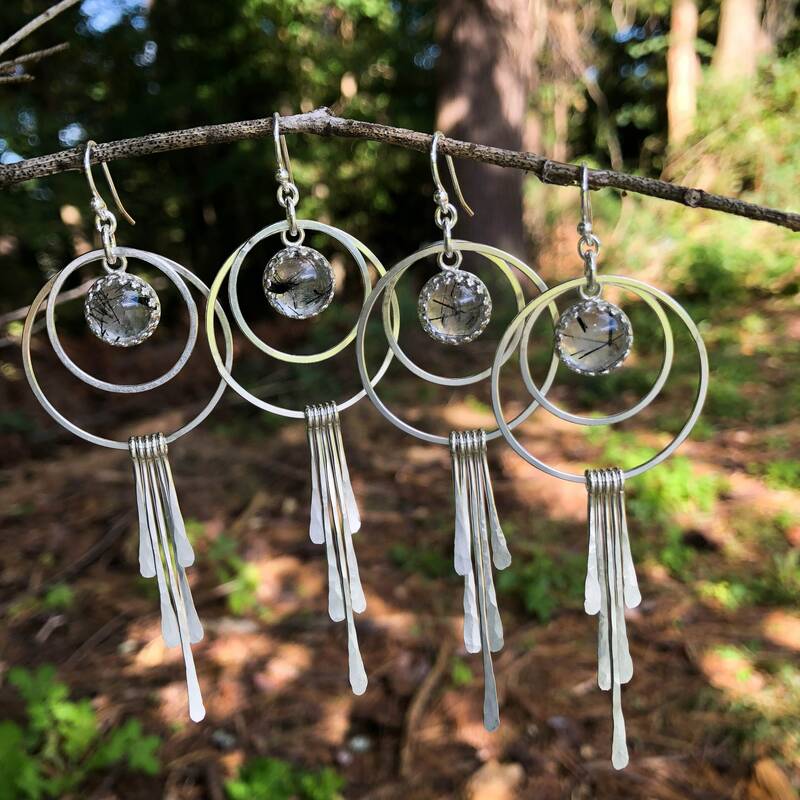 * Total length including the ear wire is 3.5" long, the drop from the bottom of the ear wire is 3.25"
These awesome statement earrings were handmade with nickel free sterling silver and tourmalinated quartz gemstones. 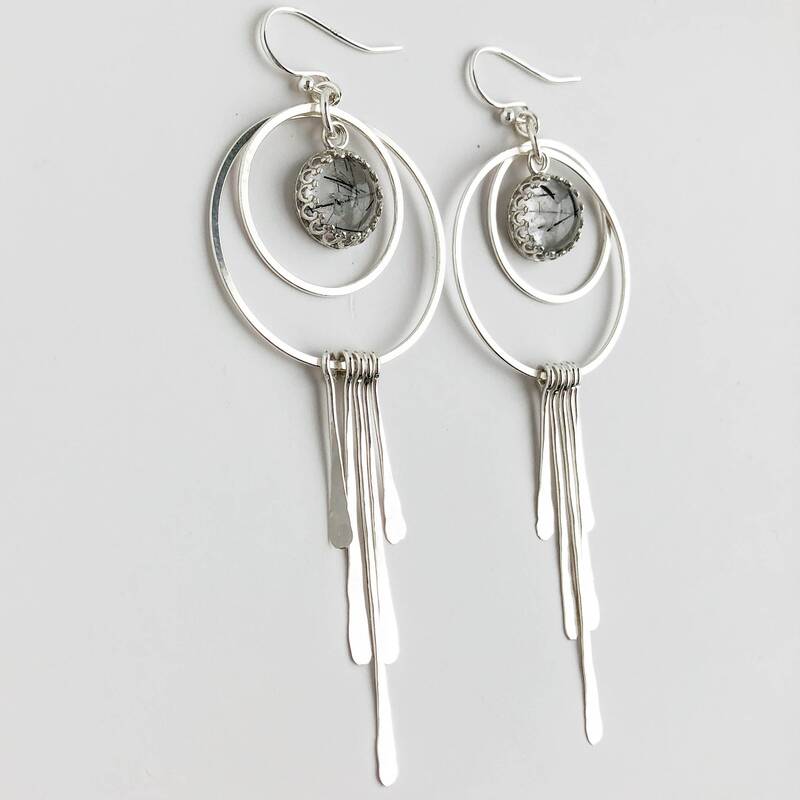 These are big and sure to make a statement but I created them to also be really comfortable to wear and not heavy at all. 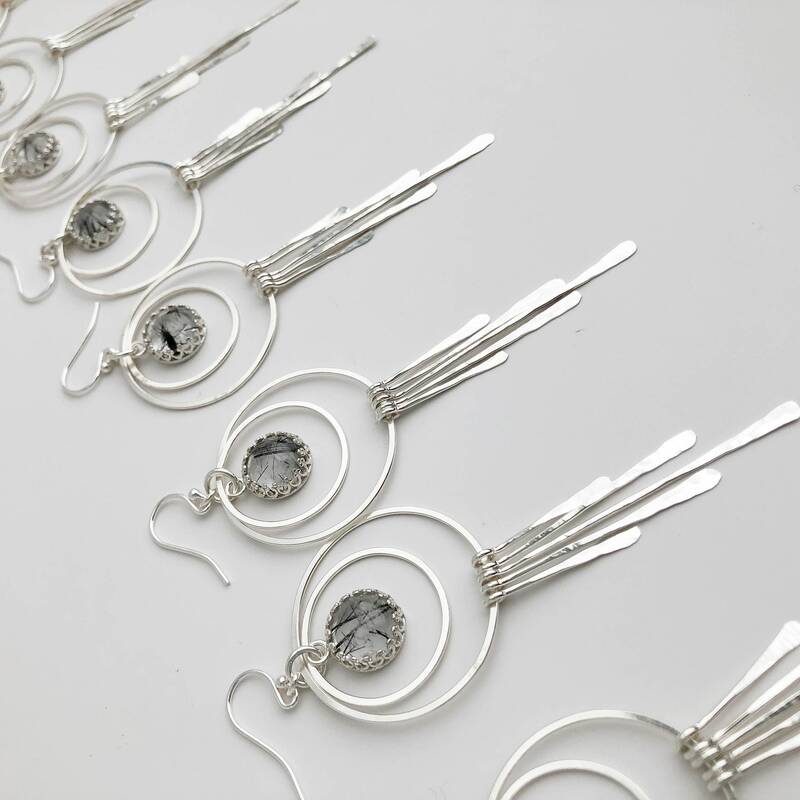 Each element in them I created by hand, the silver fringe has been forged, hammer textured and polished to a high shine to catch the light beautifully. 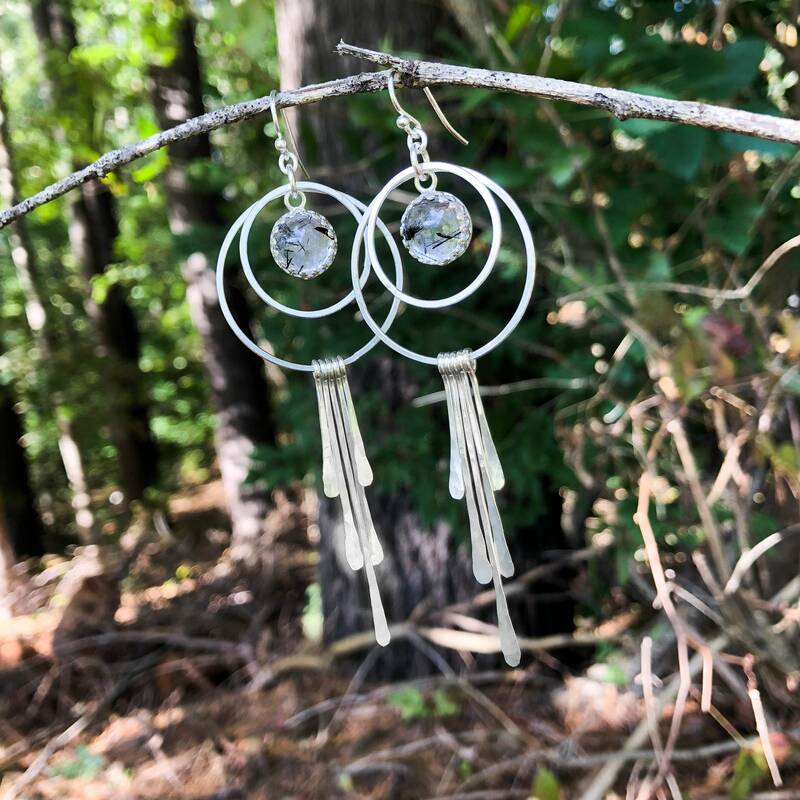 The charm of these earrings is hard to come across in photos! 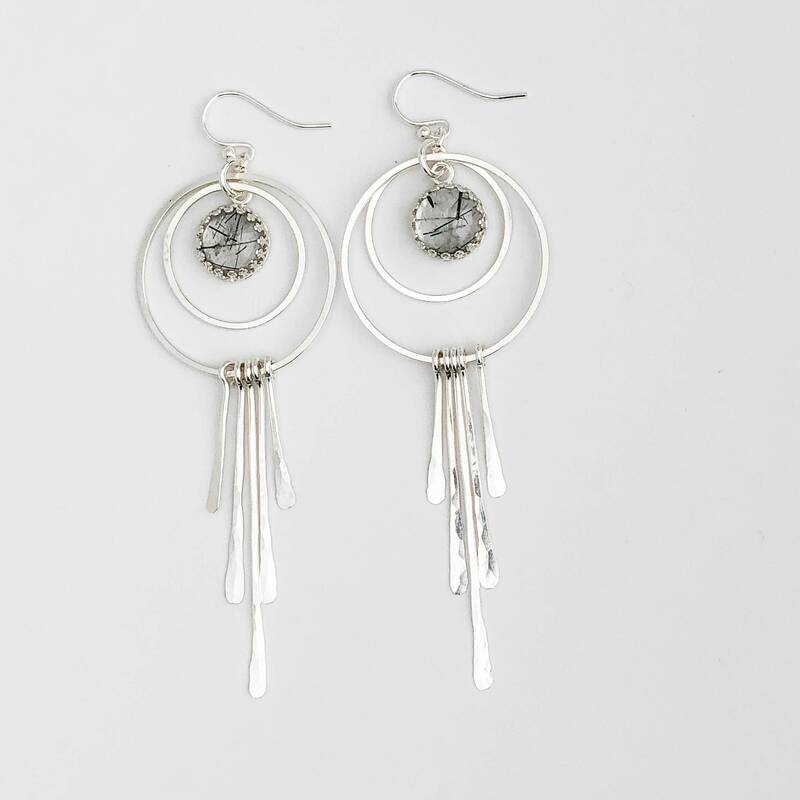 They have such beautiful movement and sparkle as the light reflects off of them. 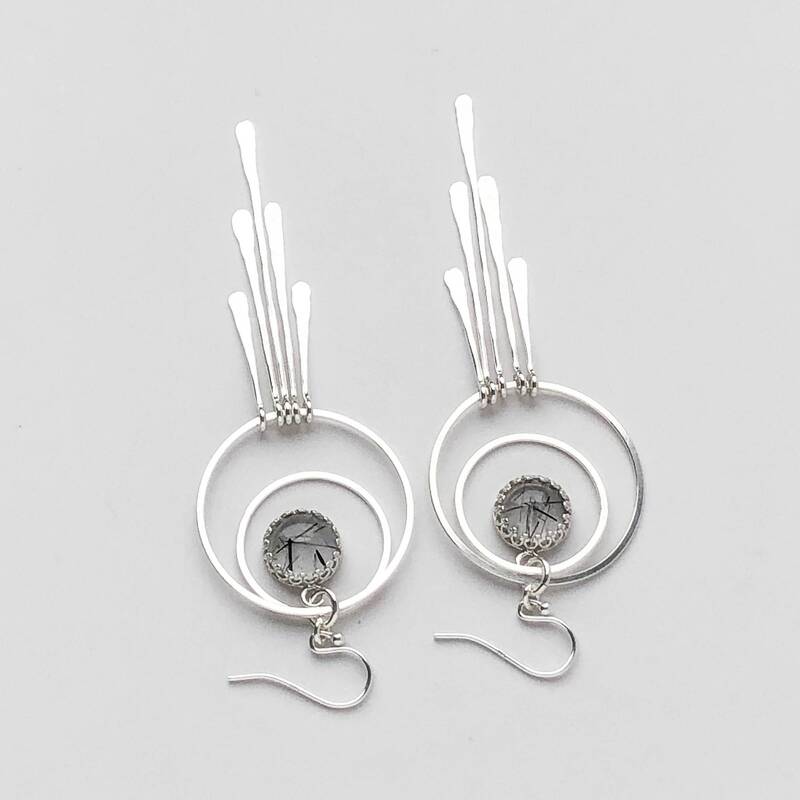 I bezel set a matched pair of tourmalinated quartz gemstones. 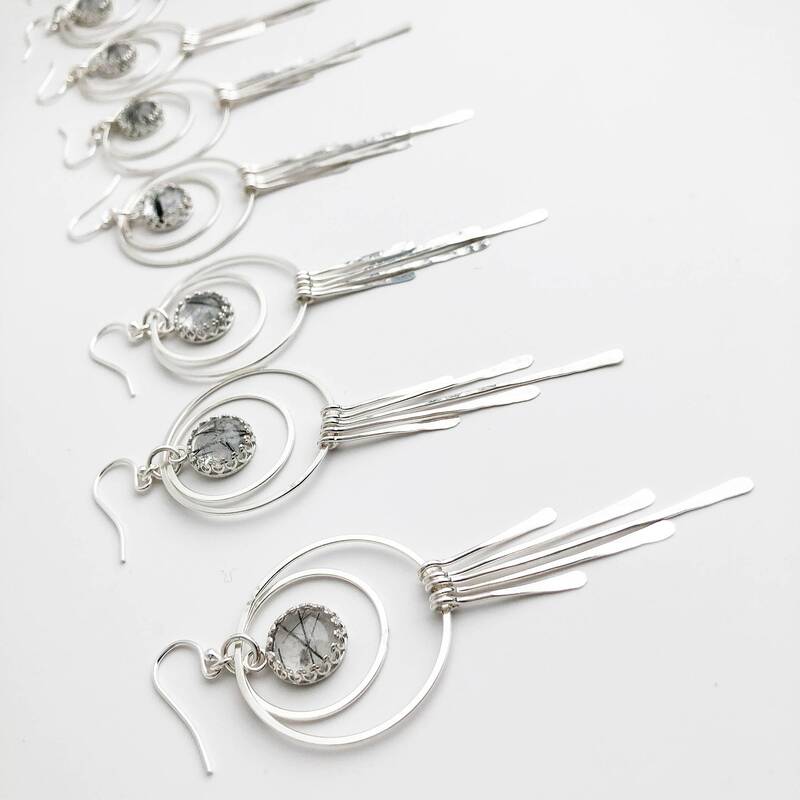 These are natural quartz that have black tourmaline rutile crystals forming within the stones. 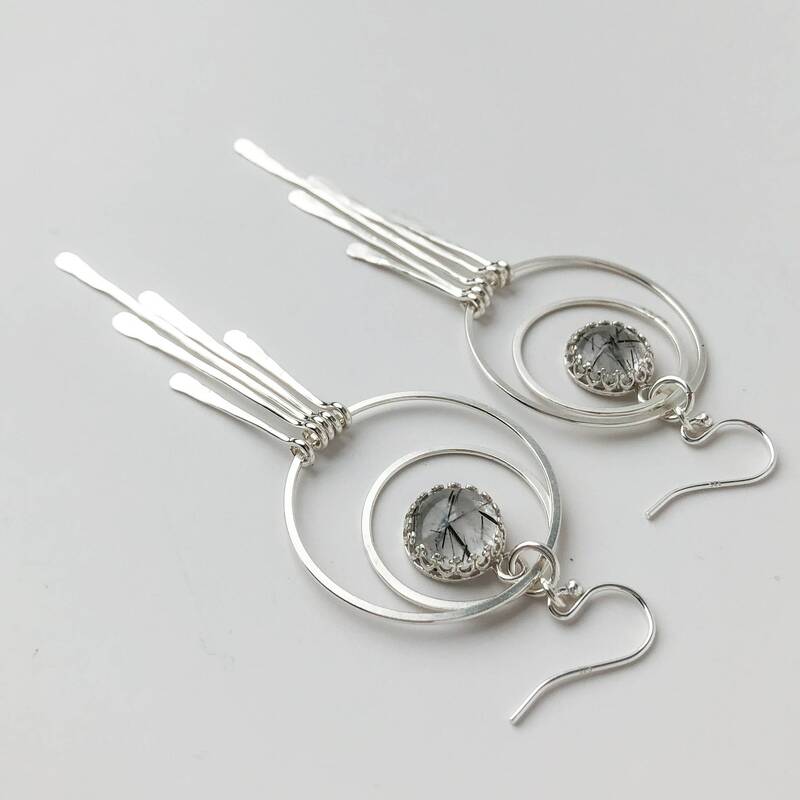 I thought the threadlike black accents would perfectly compliment the linear dangles on the earrings. 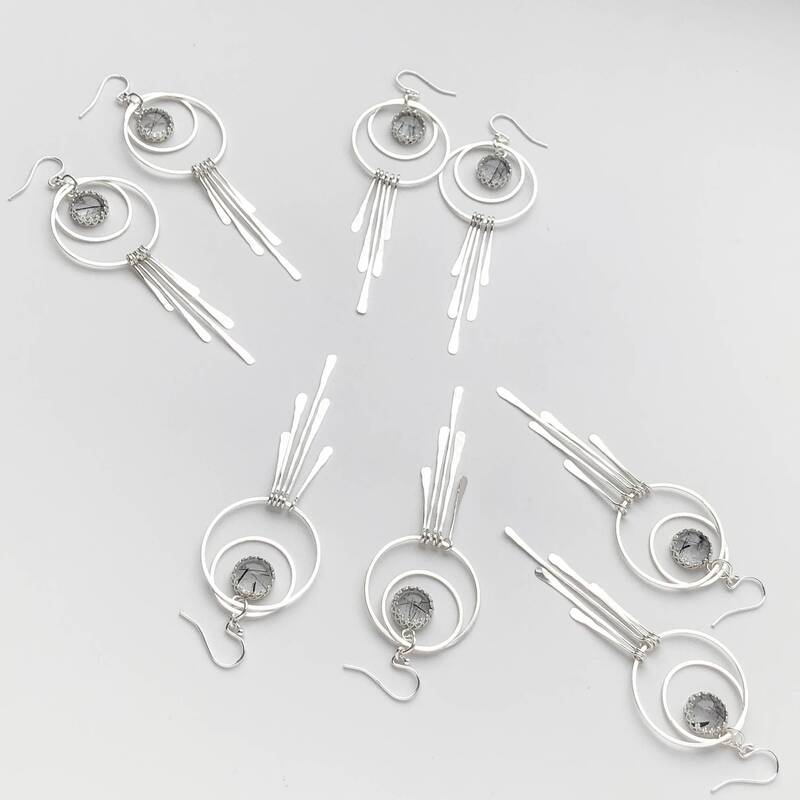 Because these use natural gemstones and are completely handmade there will be slight variations demonstrated in the pic that shows the pairs that are available. 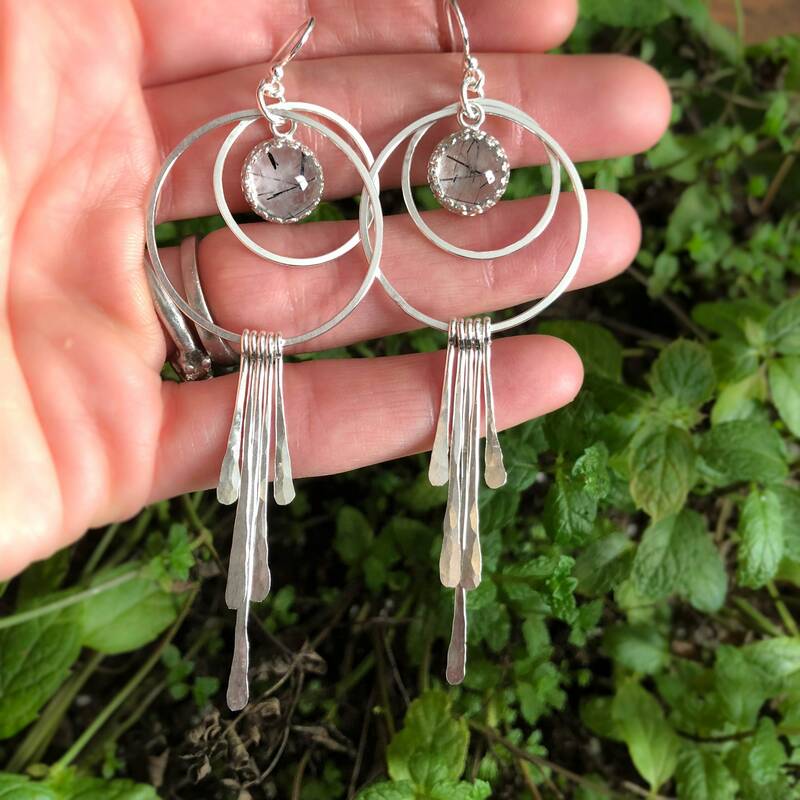 These earrings have the WOW factor going for sure-they are beautiful and bold-super lightweight to wear and make a statement that says-here I am-love them!!!! !